Tiktok is one of the most popular video-sharing platforms which specializes in producing short videos. Tiktok has recently started to advertise their product in Turkey. 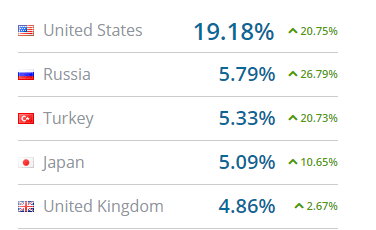 Interestingly, there is a wide agreement that individuals prefer not to see their advertisements in Turkish websites while 6 percent of visitors are from Turkey. There is no doubt, Tiktok invest in great amount of money to advertise but I am doubtful that their advertisement strategy really works. 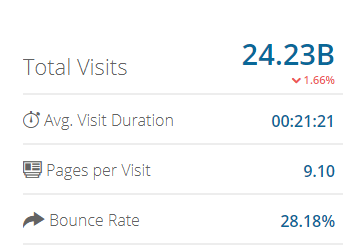 Let me try to demonstrate why their visitors are not actually engaged to the app. Average visit duration: 1 minute 45 seconds, which means that visitors actually prefer not to spend their time in Tiktok. 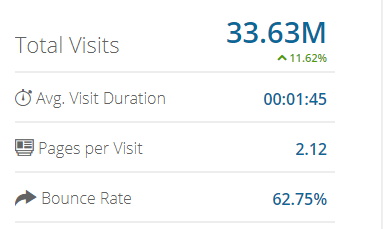 Clearly, average visit duration in Youtube is almost 15 times higher than Tiktok. In addition, there are other indications which show that Tiktok is not welcomed in Turkey. This user (Rubydark) write the most liked comment regarding Tiktok in most popular Turkish website. He claims that Tiktok is a project which is designed to make people stupid. In summary, I think Tiktok is ruining its potential. They should diversify their marketing strategy. Put it simply, they may develop a project to help poor students in Turkey. It may change the image of the company. Besides, they may offer partnership to educational video projects to increase their engagement rates by changing the content.